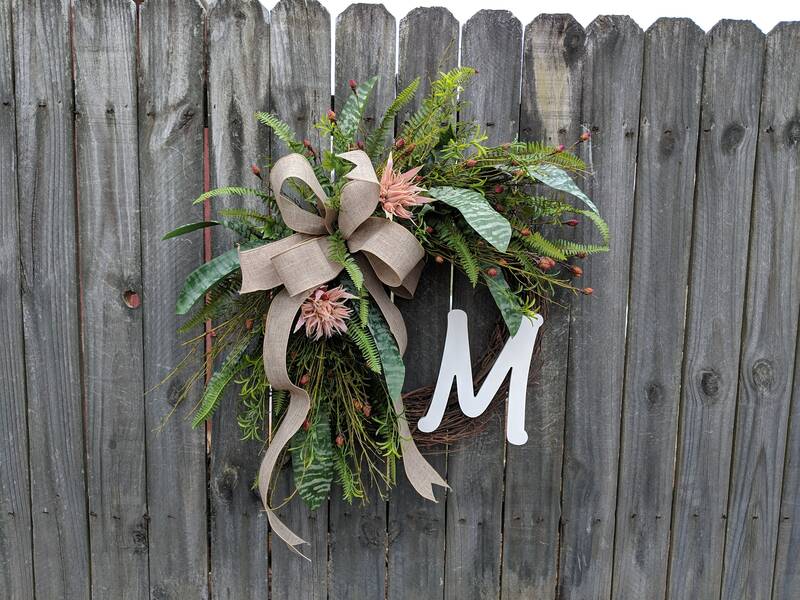 This wreath is the perfect accent for a front door or interior space all year long! 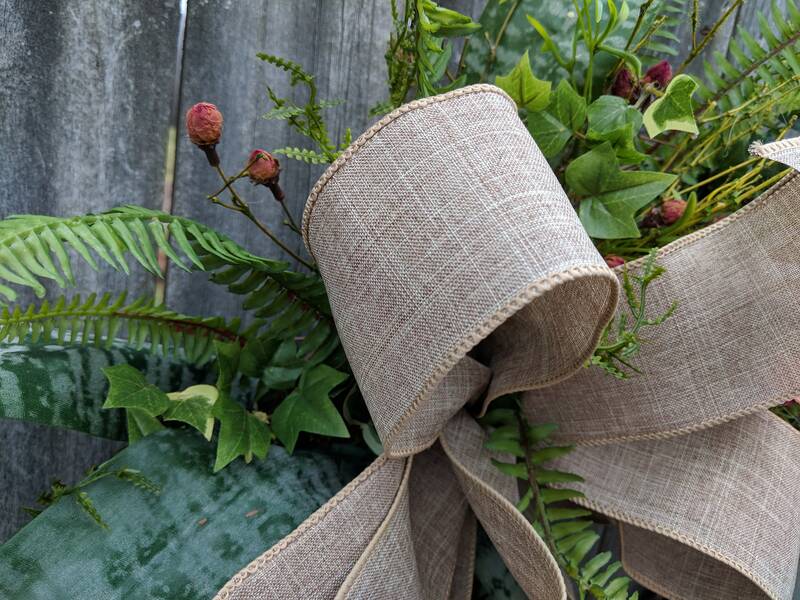 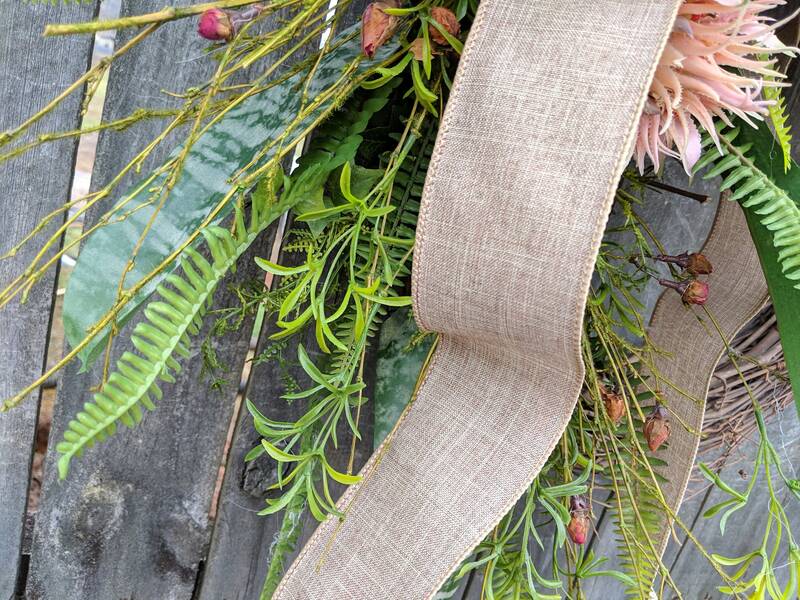 A wired linen finish ribbon creates an informal bow. 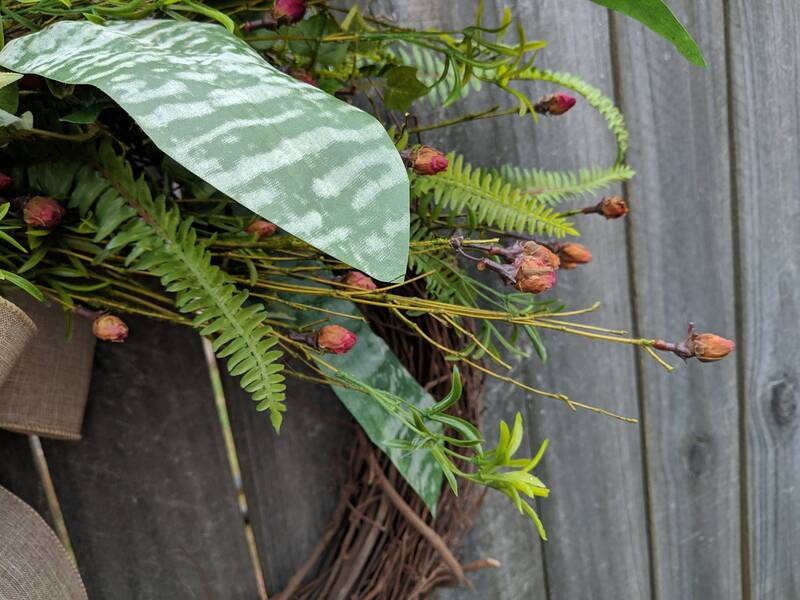 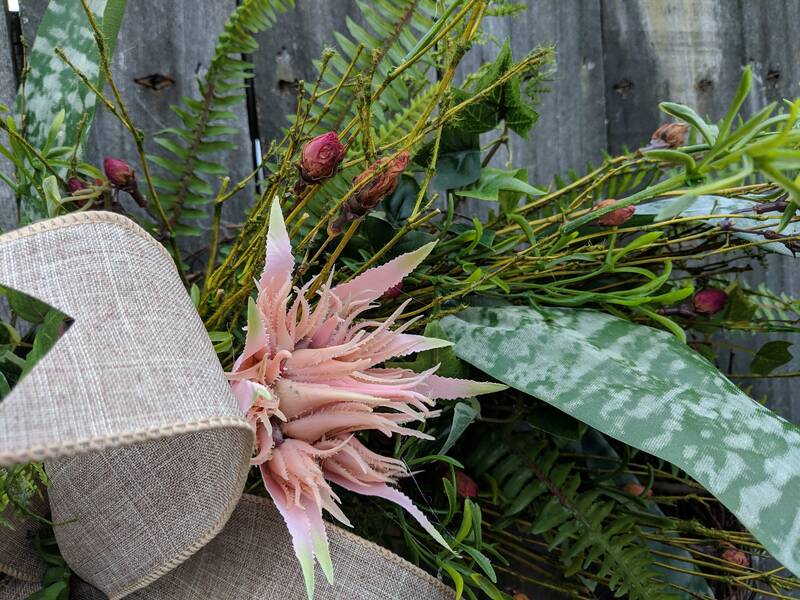 The bow is surrounded by bromeliad leaves and blooms, as well as, realistic fern and foliage. 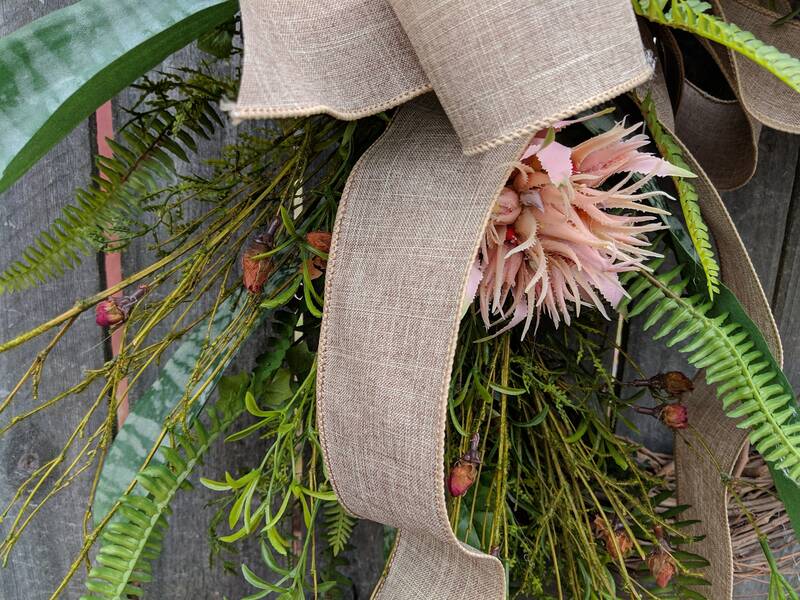 This wreath's materials have a light and airy feel where the grapevine base is visible in places. 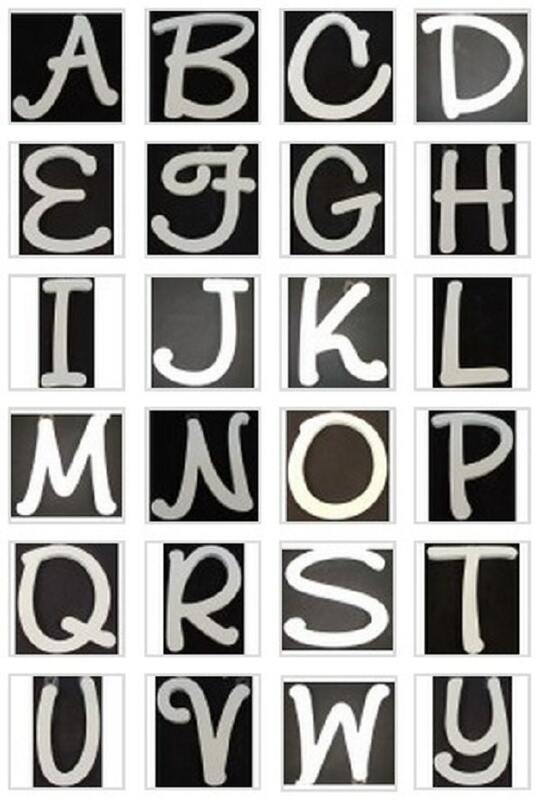 A lovely white monogram letter of your choice adds a personal touch. 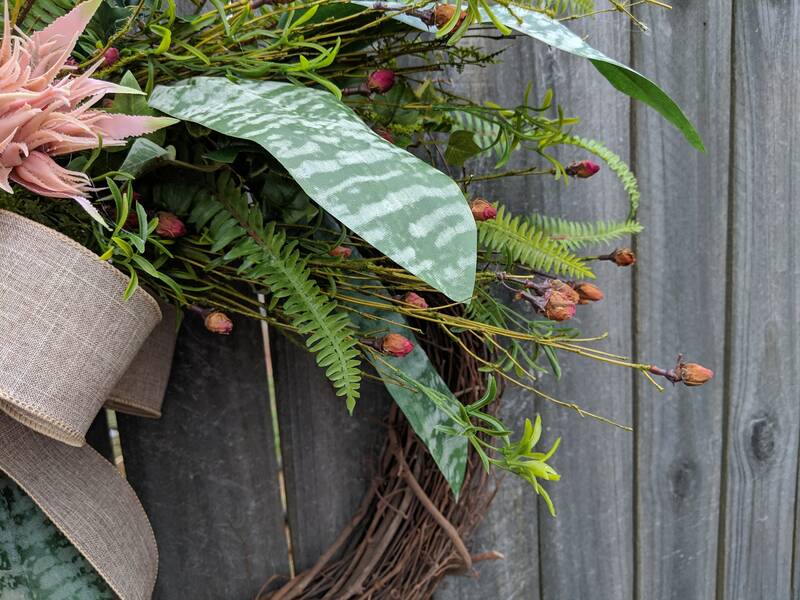 This wreath is made on a grapevine base measuring approximately 17 - 18"
*Keep out of a lot of direct sunlight as this will cause fading over time. 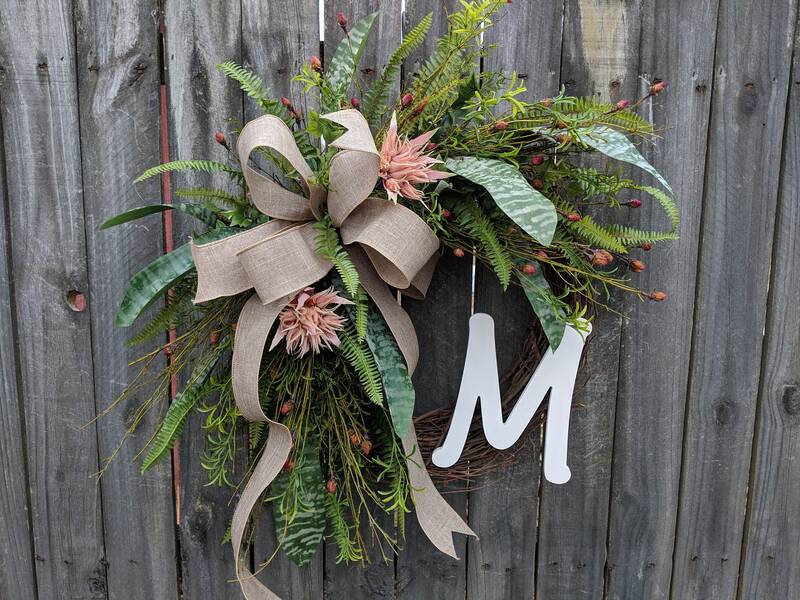 Please note that this wreath is made to order, therefore, there may be slight differences between the photo and the wreath you receive.